One of the more hare-brained schemes of the Civil War, a cavalry raid towards Richmond with 4,000 Union troopers under Brigadier General Hugh Judson Kilpatrick, a reckless blustering officer fully deserving of his nickname “Kill-Cavalry”, began on February 28, 1864. Colonel Ulric Dahlgren’s brigade was detailed to penetrate the Richmond defenses, ostensibly to free Union prisoners. The raid ended in a complete fiasco on March 2, with 324 of the raiders killed or wounded, and 1000 taken prisoner. The worst wrongs that capitalism can commit upon labor would sink into insignificance when compared with the hideous wrong done by those who would degrade labor by entailing upon it the rapid lowering of self-reliance. The Roman mob, living on the bread given them by the state and clamoring for excitement and amusement to be purveyed by the state, represent for all time the very nadir to which a free and self-respecting population of workers can sink if they grow habitually to rely upon others, and especially upon the state, either to furnish them, charity, or to permit them to plunder, as a means of livelihood. Edward V. Rickenbacker, Colonel, specialist reserve, then first lieutenant, 94th Aero Squadron, Air Service, American Expeditionary Forces. For conspicuous gallantry and intrepidity above and beyond the call of duty in action against the enemy near Billy, France, September 25, 1918. While on a voluntary patrol over the lines Lieutenant. Rickenbacker attacked seven enemy planes (five type Fokker protecting two type Halberstadt photographic planes). Disregarding the odds against him he dived on them and shot down one of the Fokkers out of control. He then attacked one of the Halberstadts and sent it down also. One would have thought that with the ending of the War Rickenbacker could have said farewell to the Grim Reaper until his peaceful death in civilian life, but such was not the case with Rickenbacker. He went on to an extremely successful business career, most notably as the head of Eastern Air Lines. illy Graham died last week at age 99. My sainted mother, uber Catholic that she was, used to watch his crusades on TV in the Sixties. In his prime, Graham was on a par with Ronald Reagan as a spell-binding orator, but more than that he was a voice crying out for Christ in a dark world. I I will miss him and may he now be enjoying the Beatific Vision. -O Lamb of God, I come! It won’t be that long, only fourteen years, until it will be three centuries since the birth of the Father of our Country. Washington, as one might expect, paid little attention to his birthdays, not taking note of them in his diaries. However, even during his lifetime the date was being observed with celebrations by the American people. On his last birthday in 1799 when he turned 67, the Washington family observed the marriage of his step granddaughter, Eleanor Parke, called Nellie, Custis. After the death of her father, who died of camp fever contracted during the siege of Yorktown in 1781, she and her brother George Washington Parke Custis, with the consent of their mother who was raising the five other children she and her late husband had, lived with the Washingtons and were informally adopted by them. Throughout her life she regarded herself as the custodian of her adopted father’s memory. Much of what we know about the personal life of the Washington’s comes from her correspondence with biographers seeking information about Washington. A recording of Woodrow Wilson from the 2012 campaign. Ah, how our technology changes our perceptions of public figures. Until the internet this type of recording was not widely available. My perception of how Woodrow Wilson sounded was shaped five decades ago by the portrayal by Alexander Knox of Woodrow Wilson in the film Wilson (1944). Go here to view that movie. Where it is so easy now, with the internet, to hear the actual historical figure since the advent of recordings, films will have less ability to shape the perception of a historical figure. Of course when the original film was released 74 years ago, quite a few people in the audiences would have heard Wilson through recordings or in person. Now those people are all gone while the film remains, a memorial to Wilson as film director Daryl F. Zanuck, a fan of Wilson, intended it to be, but perhaps less of a memorial as time, and technology, march on. Edwin M. Stanton could be a pill. Irritable, sarcastic and often completely unreasonable, no doubt many of the Union Generals who had to deal with him often thought that they were dealing with a very mad man. Mad in an emotional sense Stanton often was, anger often seeming to be the prime emotion he displayed throughout his career, at least after the death of his beloved first wife in 1844 which had a souring impact on his disposition. However, he was also a very able man, and that compensated for his complete lack of tact in dealing with virtually everyone he came into contact. Prior to becoming Secretary of War he had been one of the ablest attorneys in the country. Doubtless his most famous, or rather infamous case, was in the defense of future Union general Daniel Sickles. Sickles in 1859 was a Democrat Congressman from New York, already notorious for having been censured for bringing a prostitute into the New York General Assembly chamber. Leaving his pregnant wife at home, on a trip to England he had introduced the same prostitute, Fanny White, to Queen Victoria under an alias, the surname of which was that of a political opponent in New York. Sickles obviously viewed his vow of marital fidelity with complete contempt. However he did not view the vow of fidelity given to him by his wife Teresa in the same light. When he found out on February 26, 1859 that his long-suffering wife was carrying on an affair with the United States Attorney for the District of Columbia, Philip Barton Key II, the son of Francis Scott Key, the composer of the Star Spangled Banner, he murdered Key the next day in Lafayette Park across from the White House, shooting him through the heart. Sickles immediately surrendered to the Attorney General who lived just a few blocks away. You have summoned me in my weakness. You must sustain me by your strength. I have never liked Presidents’ Day. Why celebrate all presidents when only a select few of them, like Washington and Lincoln, deserve to be celebrated? Officially the date is still the commemoration of George Washington’s birthday, which actually won’t occur until February 22. However, I will keep up my tradition of writing about presidents on this day. Today we will look at a President who has vanished from popular memory. Franklin Pierce was a doughface, the pejorative applied to Northern politicians prior to the Civil War who embraced the South’s view of slavery. While personally opposed to slavery, where have we heard that formulation before, Pierce also opposed all efforts to restrict slavery, fearing that such efforts would merely antagonize the South and ultimately lead to civil war. He was thrust into the Presidency as the darkest of dark horse candidates, nominated by the Democrats in 1852 on the 49th ballot, winning easily in the fall against his former Mexican War commander, Winfield Scott, the last presidential candidate of the dying Whig Party. General Franklin Pierce had joined the army in Mexico, at Puebla, a short time before the advance upon the capital commenced. He had consequently not been in any of the engagements of the war up to the Battle of Contreras. By an unfortunate fall of his horse on the afternoon of the 19th he was painfully injured. 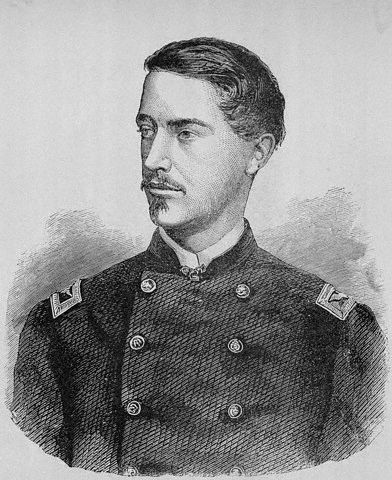 The next day, when his brigade, with the other troops engaged on the same field, was ordered against the flank and rear of the enemy guarding the different points of the road from San Augustin Tlalplan to the city, General Pierce attempted to accompany them. He was not sufficiently recovered to do so, and fainted. This circumstance gave rise to exceedingly unfair and unjust criticisms of him when he became a candidate for the Presidency. Whatever General Pierce’s qualifications may have been for the Presidency, he was a gentleman and a man of courage. I was not a supporter of him politically, but I knew him more intimately than I did any other of the volunteer generals. Grant reminds us that public service of a President can tell us only so much about the private man, and here endeth the lesson. Korea has often been called The Forgotten War. I had an uncle, who died in 2012, Ralph McClarey, who served over there as a combat infantryman in the Illinois National Guard. He had a great sense of humor and would tell me stories about the war. He served during the latter part of the war when fierce battles were fought for outposts. These battles were obscure to most Americans at the time, and completely unknown to most Americans now. This is the story of one of these forgotten battles. Outpost Harry was a tiny outpost on a small hill in the Iron Triangle, an area 60 miles north of Seoul. The Chinese high command decided to capture this position, assuming that a victory would strengthen their hand in the ongoing truce negotiation. They assumed that it would fall to them easily, after all, Outpost Harry was a small position that could be only held by one company at a time, the four American companies and the Greek company taking turns holding the position. The position was tiny but important. Lose it, and the Chinese could direct fire on the Un Main Line of Resistance and force a six-mile withdrawal to the next defensible line by the Eighth Army. Outpost Harry had to be held.